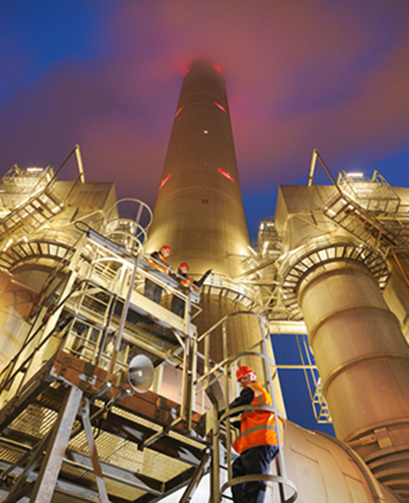 Power Generation demands powerful lubricants. Power generation has become an essential service for today's energy-hungry market. Steam, gas and hydroelectric power equipment all require industrial lubricants that keep operations running peak and off-peak. Stand-by generators are particularly crucial to keep in top condition so that they may start at a moment's notice. Water contamination, oxidation and thermal degradation can reduce generation and increase downtime, leading to expensive repairs and breaks in power service. At Primrose, our tradition of excellence secures state of the art protection for your turbines, generators and boiler feed pumps. Our army of power gen lubricants extends the life of all your equipment, down to each gear and rod mill. Primrose stands tall with premium mineral, bio and synthetic products, ranging from our exclusive Moly-D line to top-rated turbine oils, multipurpose greases and premium fuel additives. Click the link below to see all Primrose products for the power generation industry.